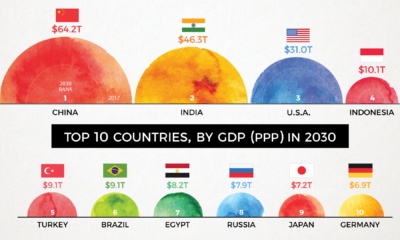 The United States has a $18 trillion economy, which makes it the world’s largest by GDP. To show its tremendous size, we previously published a visualization of the global economy that carved the world’s economic production into slices based on each country’s contribution to GDP. 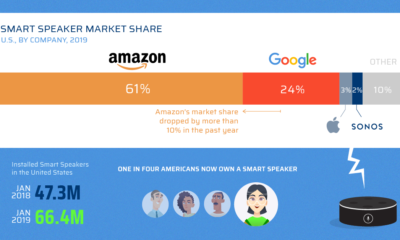 While this visualization helps to show how large the U.S. economy is in comparison to other nations, it still doesn’t seem to tell the full story. 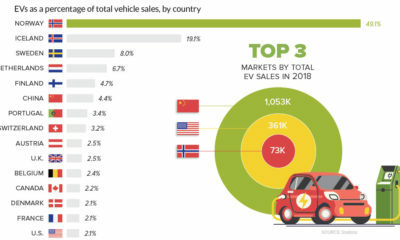 After all, the United States is geographically vast and diverse, and population is spread out and unevenly distributed. This means production and innovation are both concentrated in some areas of the country, while other parts are clearly more rural. How can we account for these differences to get a more accurate view of the U.S. economic engine? Luckily, Mark J. Perry from AEI’s Carpe Diem blog has done some heavy lifting here to help us better understand the size and scope of America’s economy activity. 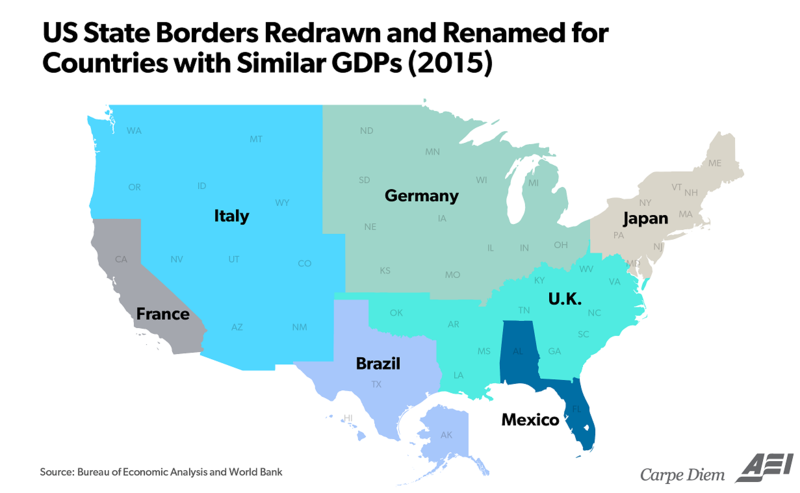 The first map redraws state borders to make seven “mega-states” that each have individual economies the size of major countries. California, for example, has an economy the size of France. The whole Northeast has an economy the size of Japan, and so on. But even states are very diverse in geography – for example, Arizona has 6.7 million people, but more than two-thirds of those people live in the Phoenix metro area. 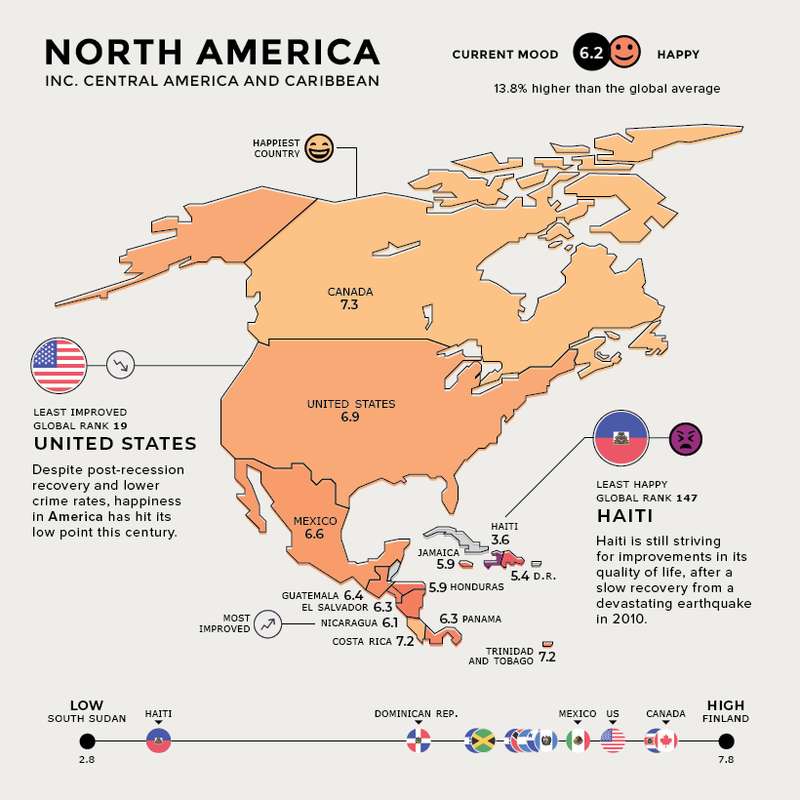 The second map compares the economies of metropolitan areas with entire countries. As you can see, the aforementioned Phoenix metro area has similar economic output to Portugal. Meanwhile, the whole corridor from New York through to Washington, D.C. is as big as Canada, Iran, Czech Republic, and Sweden combined. 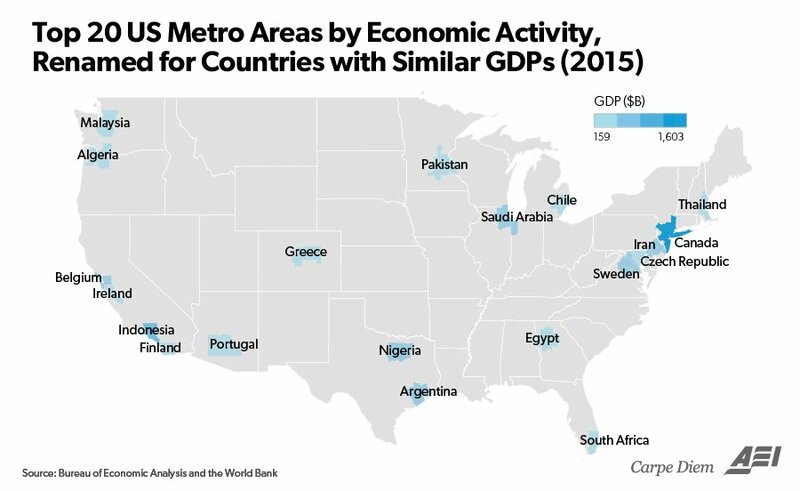 The final map builds on this idea, showing that half of America’s economic output comes just from a selection of metropolitan areas. The other half of America’s $18 trillion economy is based in the large swaths of land in between, including thousands of rural areas, villages, towns, and cities. How Does the U.S. Stock Market Perform in Election Years?